International Dot Day was celebrated on September 15th and celebrates the famous book The Dot by author Peter Reynolds. We did two Dot themed iLessons last week in celebration. Both iLessons are fairly independent, as it was also MAP testing week and I was orally administering tests to students two at a time. 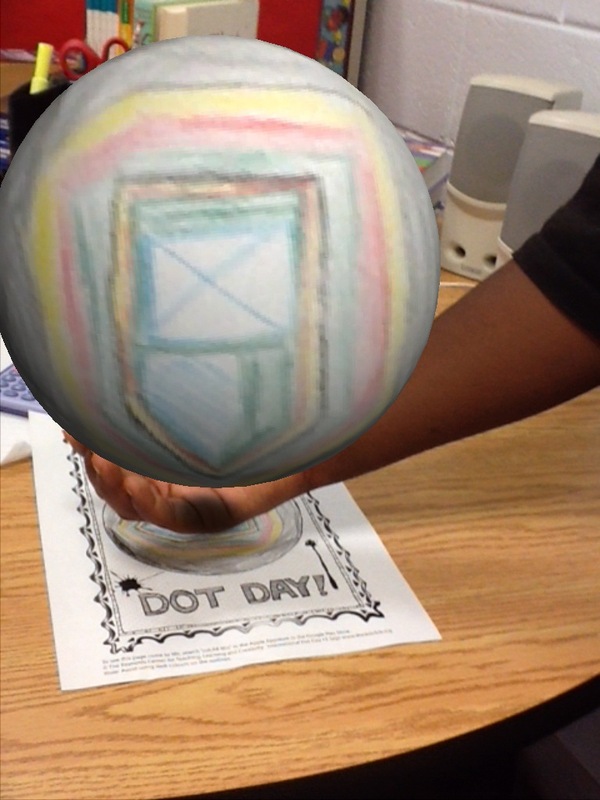 For math, students explored the Dot with the coLAR Mix app – which worked in collaboration with the Dot Day team to create a Dot inspired page. I printed out the themed coloring page and students set about to create their own dots. 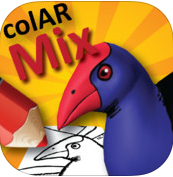 Once finished, students used the app to turn their 2D image into a 3D masterpiece. 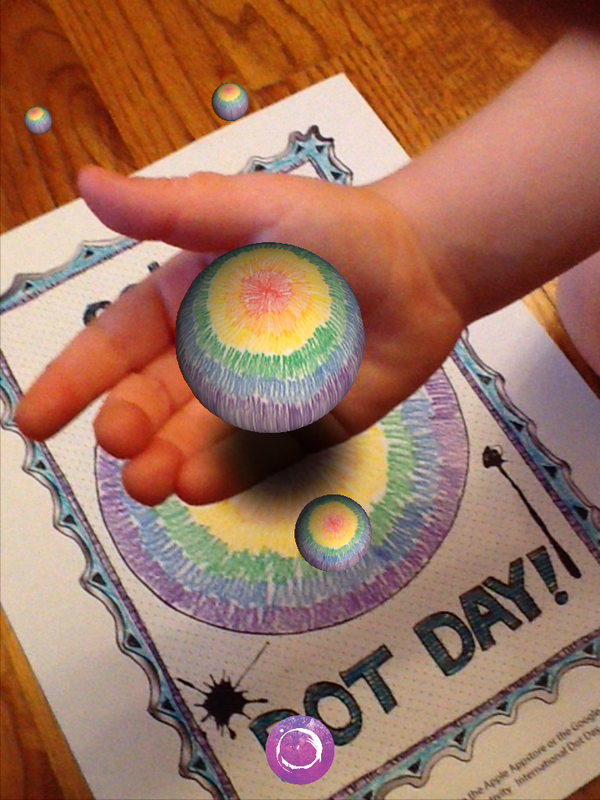 They loved the augmented reality aspect of this app. Their dots became bouncy balls, spheres, even spinning wheels. Students had to take photos of their dot and then upload a favorite to Dropbox. From there, I created a slideshow of the students’ favorite images (you can checkout the slideshow here) and created a question within the slide show. This week, the students’ homework is to go onto our school webpage, access the slideshow, and leave a comment describing in math terms what happened to their dots. I’m hoping for words like two dimensional, three dimensional, flat, sphere, etc. Cross your fingers! For ELA, students worked on tree ring poetry. They had to write a single line describing something important that happened in each year of their lives. 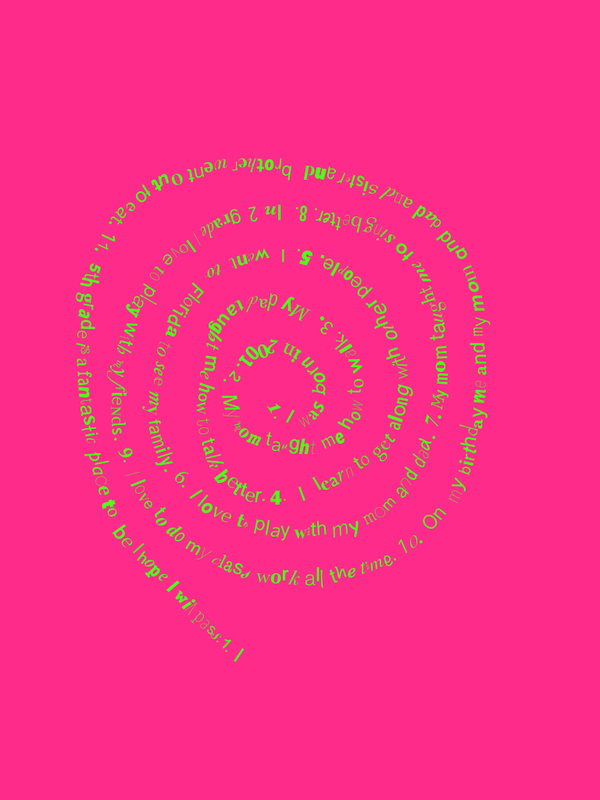 After editing, students used the app TypeDrawing to create tree ring dots, using their text as the illustration. Using typography was a fun tool to motivate the students with. Plus, I got to knock out concrete poetry in the process. Seeing their words become art was a really neat experience for the kids. Not to mention the fact that everyone completed the assignment on time so that they had a chance to publish their dots. Geometry is always a bit more fun to teach than other math units. With the implementation of Common Core – I’ve really had to hustle to get everything in. This week we worked on identifying angle types. Students took photos using the iPad of various angles types they found in the classroom. 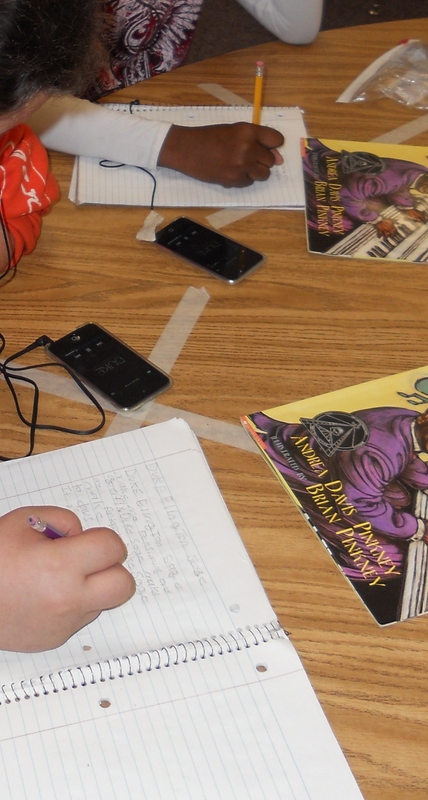 Students began by using a podcast from the Tennessee Department of Education to note-make. Given the podcast Identify Acute, Obtuse, and Right Angles, students watched the podcast twice. First to observe, next to make notes. Students were given the explicit purpose for note-making: identify the four angle types and their general measurements. Students also had to be able to tell me what unit we measure angles in. After confirming the students’ notes, we moved on to real world application of the skill. 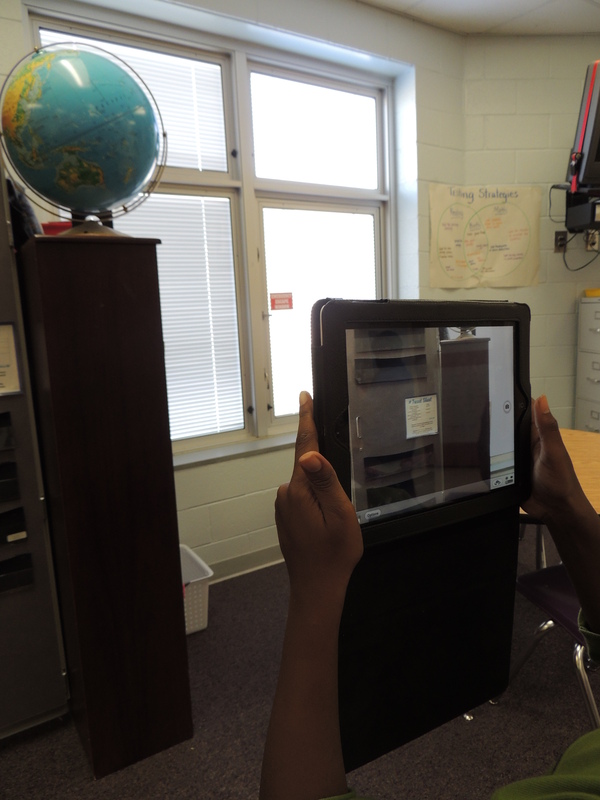 Students were tasked with using the iPads to take photos within the classroom of the various angle types. It turns out that obtuse angles are fairly hard to find in a typical classroom. After locating the angles, snapping a picture, and checking them in the camera roll students had to create their own instructional videos using their images. Students created videos annotating their images and narrating each slide. With the introduction of Common Core this year, many of our math standards have changed. My fourth grade students have spent weeks working with fractions. (Seriously – weeks. I’ve just come back from maternity leave and they are STILL working on fractions!) In order to augment the classroom instruction, my students did some iLesson work with equivalent fractions. To begin with, we used several apps on the iPods to independently practice identifying equivalent fractions. 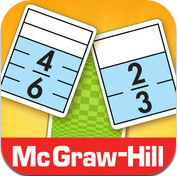 McGraw Hill makes a great app called Equivalent Fractions. It is a paid app, though McGraw Hill is known to make its apps free a few times a year. 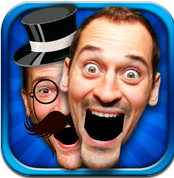 The gameplay is a cross between a solitaire game and a matching game. Players match cards with images of equivalent fractions and draw from the pile when they can’t make a match. I like that the students had pictorial images to compare, especially as we were beginning instruction on equivalencies. 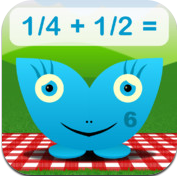 Another app we used was Squeebles Fractions. This one is a little bit more fun as it involves cake. Students have to feed the Squeebles pieces of cake based on fractions. The catch is that students have to know equivalent fractions to be able to divide the cake correctly. The app does a nice job of making student apply their knowledge to feed the Squeebles. The students’ favorite activity however involved candy bars. I always use food as an example when talking about fractions. Who wouldn’t want 4/5 of a candy bar instead of 2/10? However, on my teacher salary, I can’t afford to buy the amount of candy I would have needed to let everyone cut candy bars into pieces. 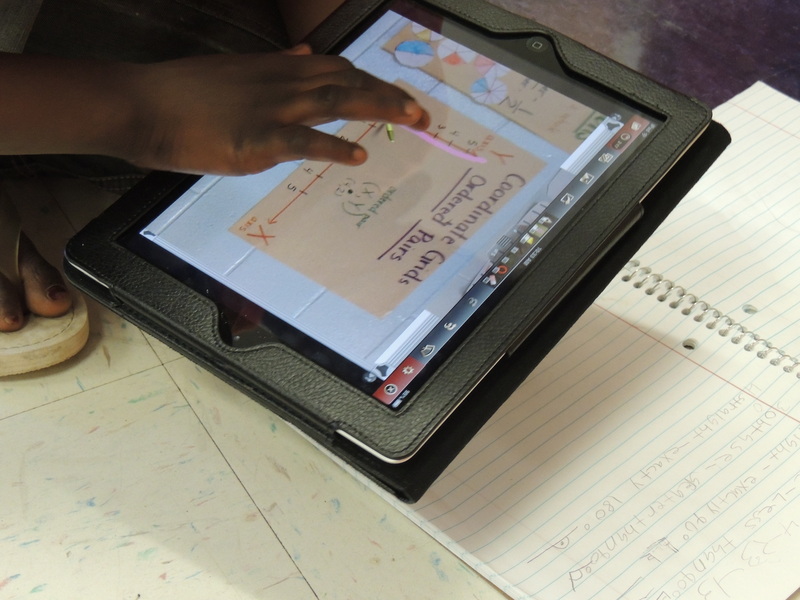 Instead we used our Ken-a-Vision Flexcam and the Educam app to split candy bars into equivalent fractions virtually. Students used the Educam app to complete a performance assessment. 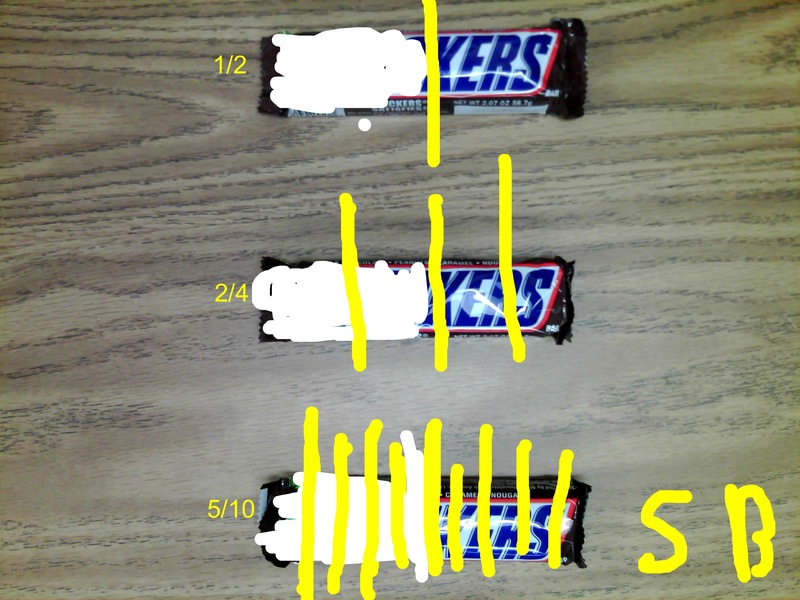 Students cut candy bars into equivalent fractions virtually. After sending an image of three Snickers bars to the iPads, students were asked to choose a simple fraction, split the candy bar into the correct amount of pieces, and label the fraction. 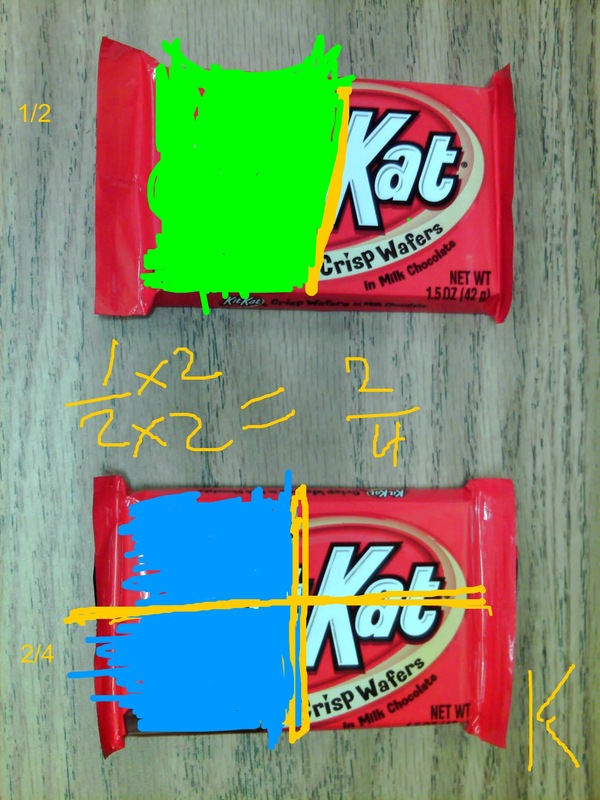 Students then had to figure out two equivalent fractions (open ended – students could find any equivalency they wanted), split the candy bar into pieces, color in the part they were going to eat, and label the fractions. Students uploaded their images to Dropbox and I used this as a performance assessment to show whether or not the kids could find equivalent fractions. Students had to show the process they used to find the equivalent fractions. I also used this lesson with a group of students working on modified standards. We took the same idea, but used two Kit Kat bars. With this group, I required them to show me the math calculations they did to find the equivalent fractions. 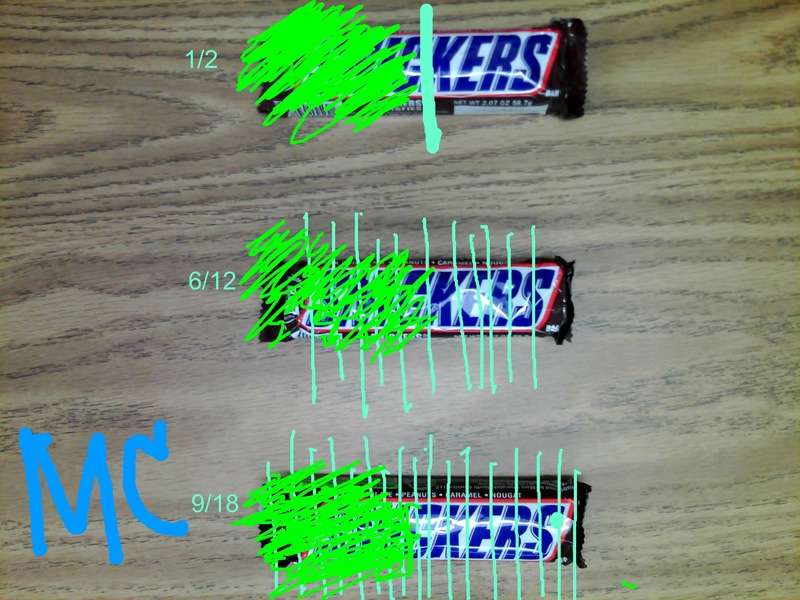 Using both the pen and typing tools in the app, students split, calculated, colored, and labeled their candy bars. I used this group’s uploaded images as an assessment as well. I loved the engagement level of this assessment, and the mastery that kids were showing when they applied their knowledge. However, I’m sure that the students will tell you that the best part of the equivalent fractions was when I let them eat their math lesson. We’ve been working on figurative language the past few weeks, and I have to say that tying technology into figurative language has been a lot of fun! 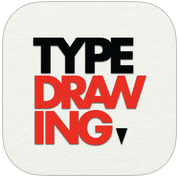 With my love of creation based apps, these activities have been a perfect match. I hope to post several small iLesson plans in the near future showcasing some of our great projects. We started with alliteration as our first skill. To start off the lesson, we of course did some note-making. 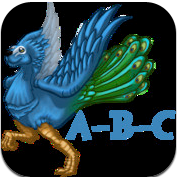 Instead of using a podcast this time, my students explored the app Baby’s First Monsters: ABC. 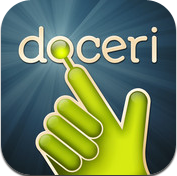 The app features the Alliteration Academy. Each letter of the alphabet is represented by an alliteration about a mythical monster or legendary creature. After making sure that my students knew that I didn’t want to know anything about the actual monsters, they were given the purpose of defining the word alliteration using just this app. Locating alliterations in Louis Armstrong’s “What a Wonderful World”. Our next activity hooked my students immediately because they got to listen to music. Using the iPods, students had to listen to Louis Armstrong’s “What a Wonderful World”. The rule, as always, is to listen to the song twice. The first time is always just to listen. The second time students played the song, they had to write down as many alliterations from the song as they could. I set a timer, and allowed them ten minutes to do this. After coming up with a few – and the obvious title of the song – I put a copy of the lyrics up on the Smartboard. Students used highlighting tools to identify the alliterations they heard and any others that we missed.